Happy Sunday, friends! My husband was in town this weekend for the first time in two weeks so I’ve been a very happy wife. We had a pretty relaxing weekend without any big plans which is exactly the way I like it! 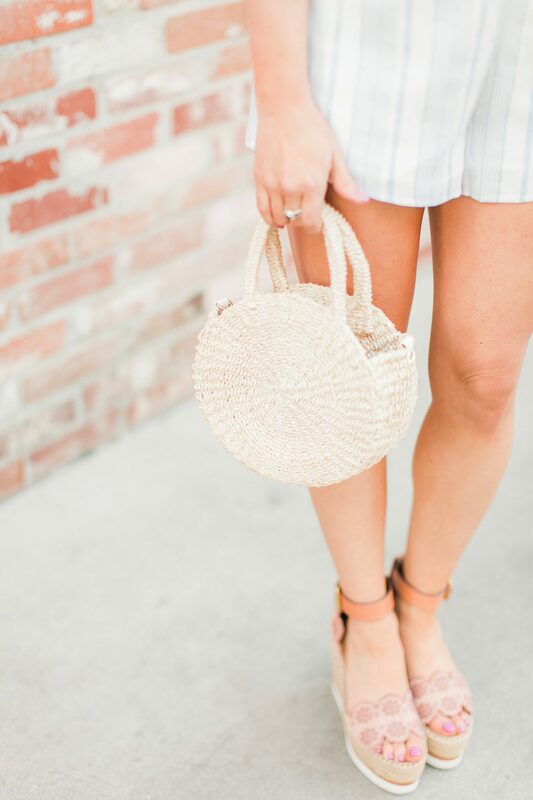 We’re having a bit of a cold front in Orange County, but I’m still buying all things spring. If I shop for the warmer weather, I’m hoping I can make it get here faster! I’m noticing stripes are really trending right now. Stripes are one of my favorite prints. 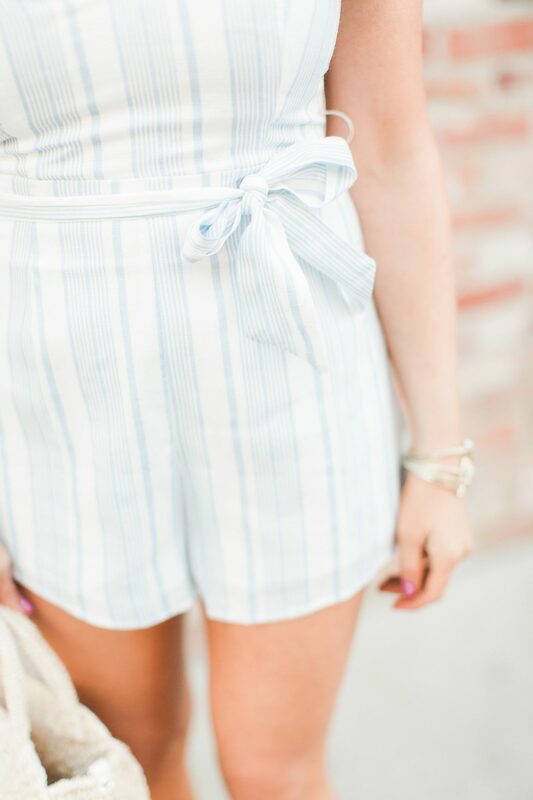 I found this adorable striped romper for under $70 and thought it was super flattering and loved the bow detail. 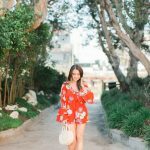 As I was shopping, I found a lot of other striped rompers that are on my wishlist so for today’s post, I am rounding up my top 15 striped rompers that are under $100. I told y’all I can’t get enough of these Chloé wedges or my Clare V bag. 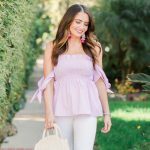 They match all of the spring outfits I’ve purchased so far and are definitely “it” items for the upcoming season. 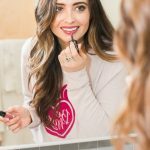 I think they would go perfectly with all of the rompers I’ve rounded up for you all!